Lately, one can often see the city fences, walls of the houses and garages filled with various scribbles. These look rather like uncomely works by a graffiti novice. Still actually these are the contacts left by drug dealers. 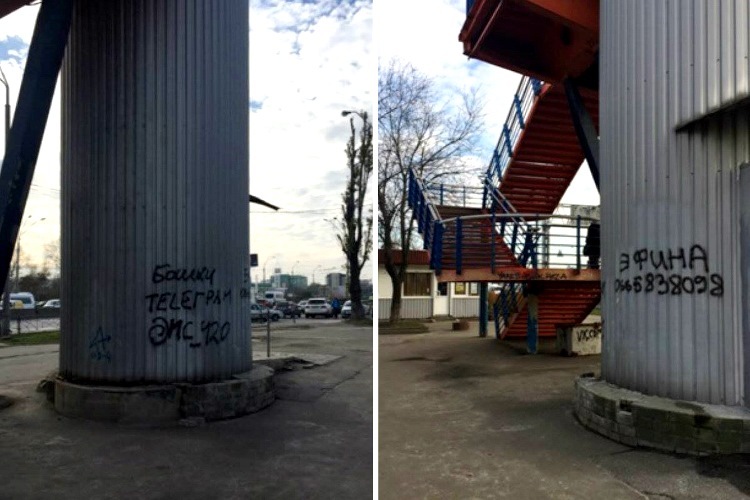 In this plain way, network “sellers” are promoting drugs: on the walls of a building, on a fence surrounding a kindergarten or on a bridge supports, like in this case, when the Karatyel app’s users noticed analogous scribbles in Kyiv, in Stepan Bandera avenue, 20 “B”. A non-indifferent Kyiv citizen reacted in a flash: he took pictures of the scribble and sent the request using the Karatyel application. Next, it became the matter lawyers had to deal with. 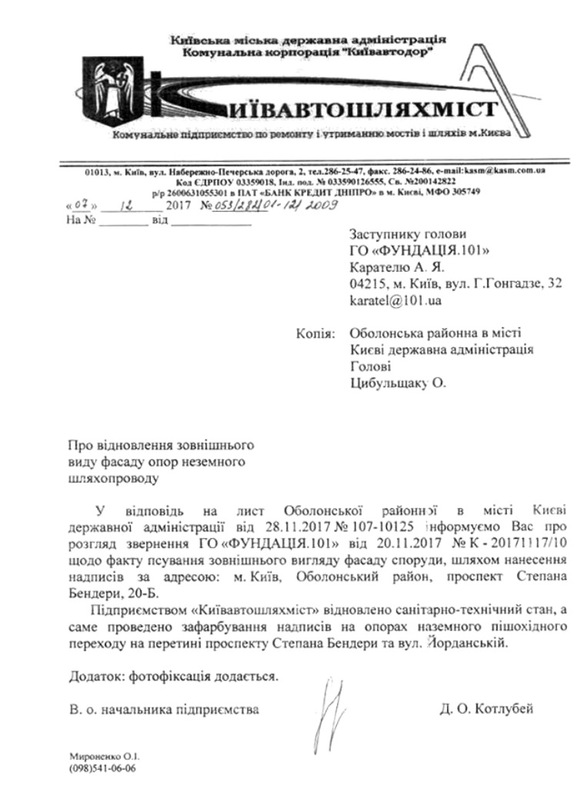 They drafted a request thus engaging the Kyiv city state administration’s officials as well as Obolon district authorities, KyivAvtoShliahMist public utility and KyivAvtoDor public utility corporation, into the case. 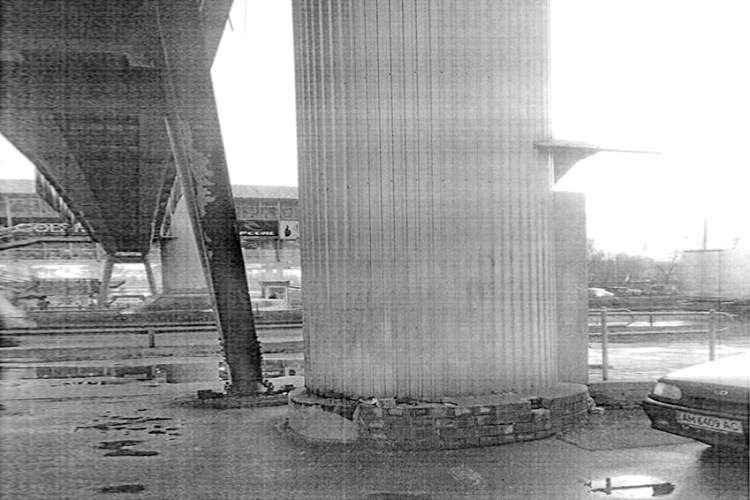 In two weeks, the Kyiv citizen received a photo proving that the scribbles vanished. Dear friends, we encourage you to pay attention to similar scribbles! These are not just ordinary graffiti made by local kids spoiling the city’s appearance. These are about promoting publicly available drugs. That is, a real danger that should be opposed with all means possible. Actually, the police are combating drug dealers physically, still it is our concern to attract their attention to such an outrage in due time. And this is exceptionally easy to implement – by just making a few clicks in the application available for download on iTunes or Google Play. Let us remind that the app is free of charge, but you can support the team of lawyers at Karatyel financially, since they advocate our common interests at their best.